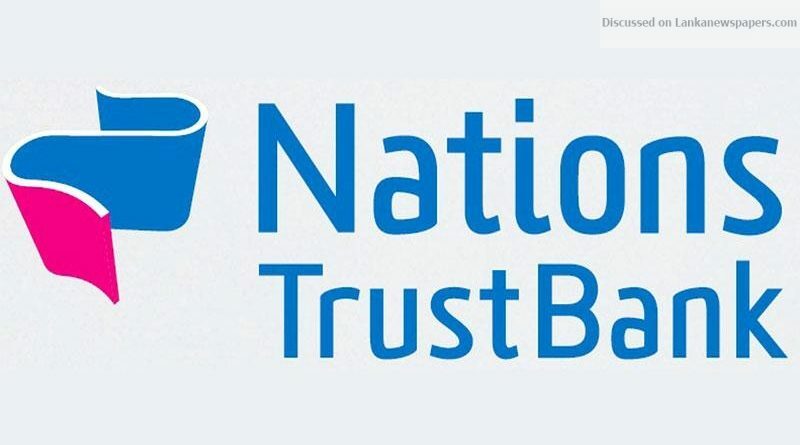 Nations Trust Bank closed the financial year 31st December 2017 with a post-tax profit of Rs. 3,371Mn, up by 18% over the previous year with pre-tax profits increasing by 31%. A higher effective tax rate stemming from the increase in the financial services VAT rate as well as the additional tax of Rs. 210Mn on inter-company dividend payments impacted the Group bottom line growth. Healthy portfolio growth and strong fee-based income growth enabled the Group to record higher pre-tax profits, despite the effects of narrower NIMs and an increase in impairment provisions. The Group’s Net Interest Income grew by 26% underpinned by good growth in its advances portfolio. The faster increase in deposits rates which mirrored market trends due to tightening of market liquidity, especially in the first half of the year, resulted in interest expenses increasing by 56% whilst the corresponding increase in interest income was lower at 42%. However, this trend was somewhat reversed in the second half with the decline in cost of funds and a moderate pick-up in NIMs. Net fee and commission income increased by 29% driven by growth in the cards fee based income, increased trade and transactional fees as well as contributions made from structured financing transactions. Net trading losses for the year amounted to Rs. 558Mn which is partly reflective of the swap cost arising from an increase in the funding of the forex swap book by 30% and increase in SWAP premiums by 117bps. However, the Bank continued to benefit from the relatively lower funding costs of the forex swaps compared to high cost rupee deposits. Realized capital gains on the fixed income securities portfolio amounted to Rs. 190Mn for the period under review compared to Rs. 34Mn in the corresponding year. Impairment charge increased by 58%, stemming primarily from the increase in individual impairment as the weather related weakening of the country’s agriculture sector had trickle down effects on several industry sectors. Previous year individual impairment charge was low as a result of reversals in impairment provisions. Total operating expenses increased by 15% due to business growth in transactional volumes and increased operational activity. Ongoing focus on automating processes, lean initiatives and productivity improvements resulted in the Group’s cost-to-income ratio improving to 52% from 55% in the previous year. Loans and advances recorded a well balanced growth of 25%. Deposits grew by 28% faster than the industry growth of 17%. Despite the prevalent high interest rate scenario, the Bank successfully grew its CASA base supported by the launch of the ‘Max Bonus’ Savings product, an innovative product proposition. The Bank successfully concluded a $50Mn funding line from IFC adding more diversity to the medium term funding structure of the bank. During the year, the Bank reached a major milestone in its digitization journey with the launch of Sri Lanka’s first digital bank, FriMi, a combination of next generation bank account, payment system and e-wallet wrapped up in one convenient app.